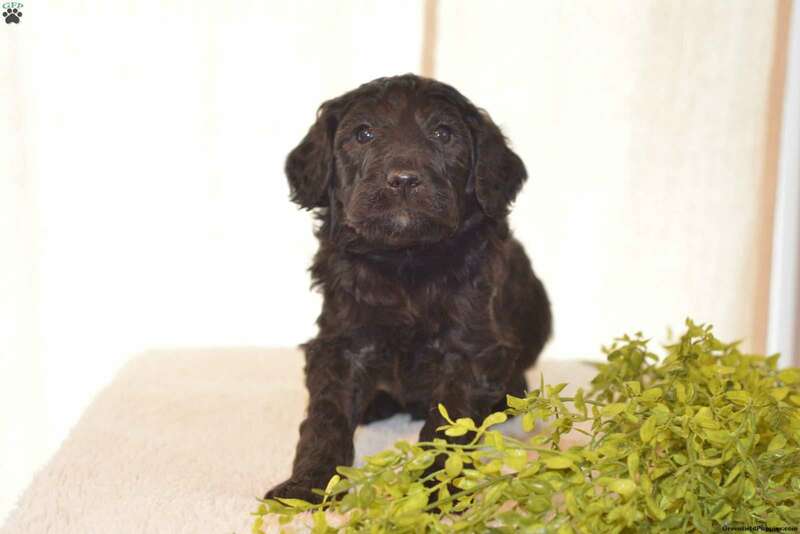 Austin is a F1B Labradoodle puppy who is full of curls. He is a happy guy who loves to romp and play. 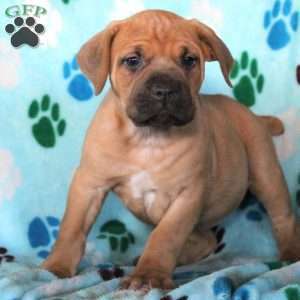 This cutie is family raised plus comes with a health guarantee that is provided by the breeder. In addition to being up to date on vaccinations and dewormer, he will be vet checked. If Austin is the puppy of your dreams, contact Brenda today. 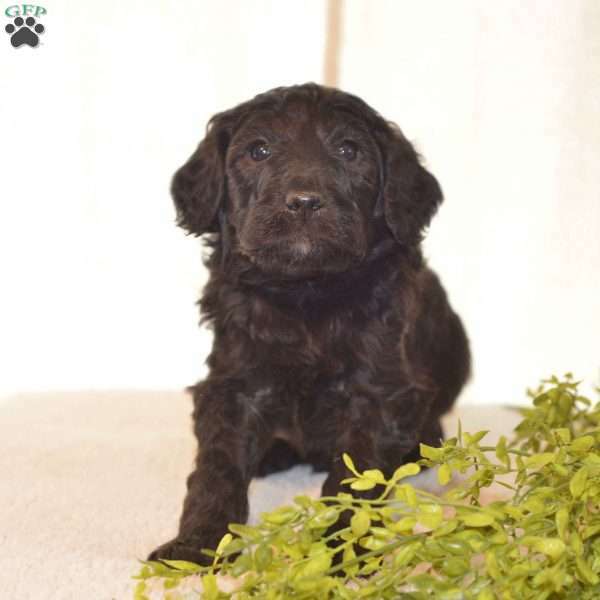 Brenda Miller is a breeder located in Sugarcreek, OH who currently has a litter of Labradoodle puppies for sale. They are family raised and have lots of curls. Contact Brenda today to learn more.